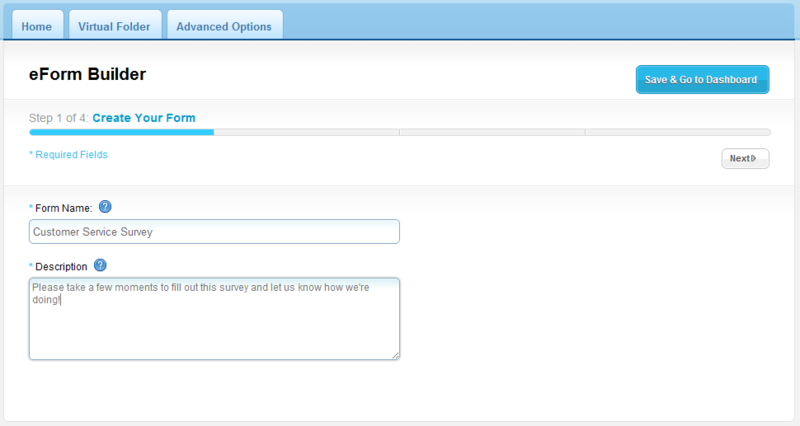 Leader in cloud integration expands services to consumers and businesses with online survey tool. 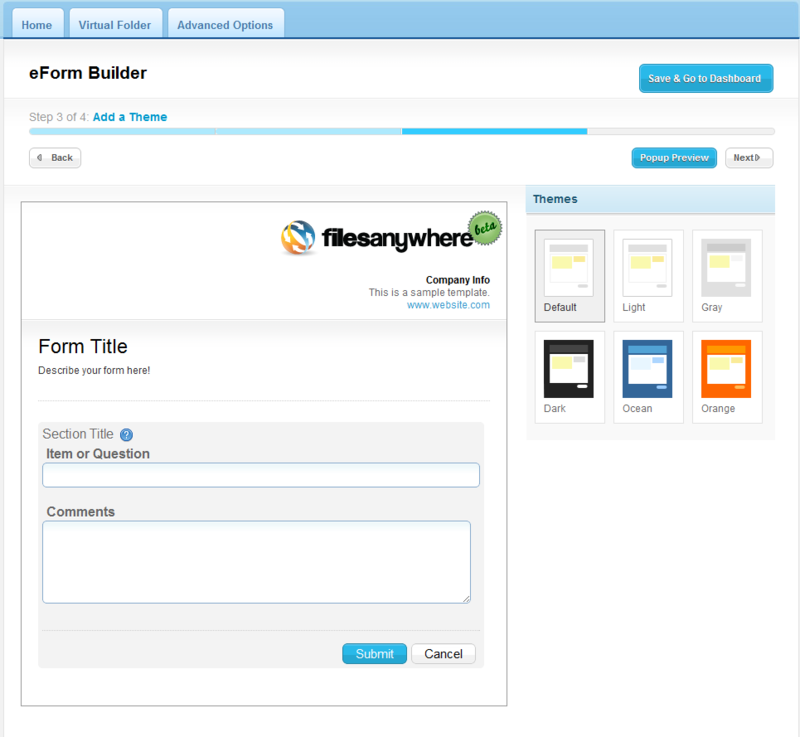 FilesAnywhere, a pioneer in cloud storage and collaboration since 1999, today announced the Beta release of eForms, a tool giving users the ability to collect and manage diverse data sets through online surveys and questionnaires. In addition to guest Dropbox™ Links, online file storage, data backup, and document sharing FilesAnywhere is further distancing itself from cloud storage competitors by providing simple data entry form creation and collection features for its customers. The addition of eForms allows account holders to create online forms, registrations, surveys, questionnaires, and more, without writing code or expensive third-party applications. The feature’s visual editor takes users through a simple, step-by-step process automatically constructing the functionality, database, and scripting necessary to assemble and read data in the background. Users can easily generate personalized or branded online surveys with built-in components, including upload, download, listboxes, and all other traditional form controls. 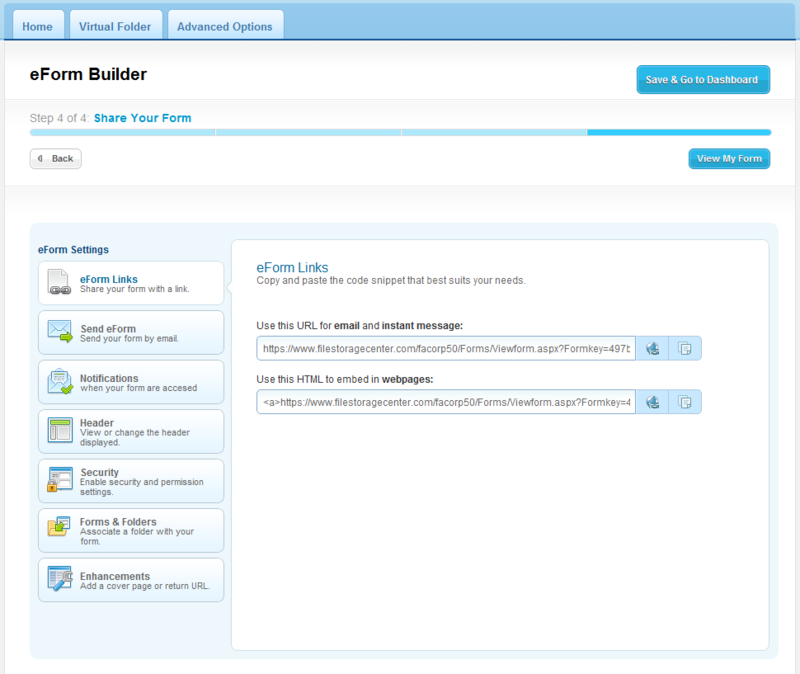 eForms also offers a complete set of graphical statistics and summaries based on responses received through the module. In addition, eForms contain advanced security measures and an export-friendly results feature that is spreadsheet ready for detailed analysis. The simplicity of a link-based delivery carried through to the eForm component reinforces the ingenuity and user-friendliness of the FilesAnywhere platform. eForms allows home users to produce useful, instructive online data collection formats in a matter of minutes while business users enjoy resource reduction and save hours of valuable development time. 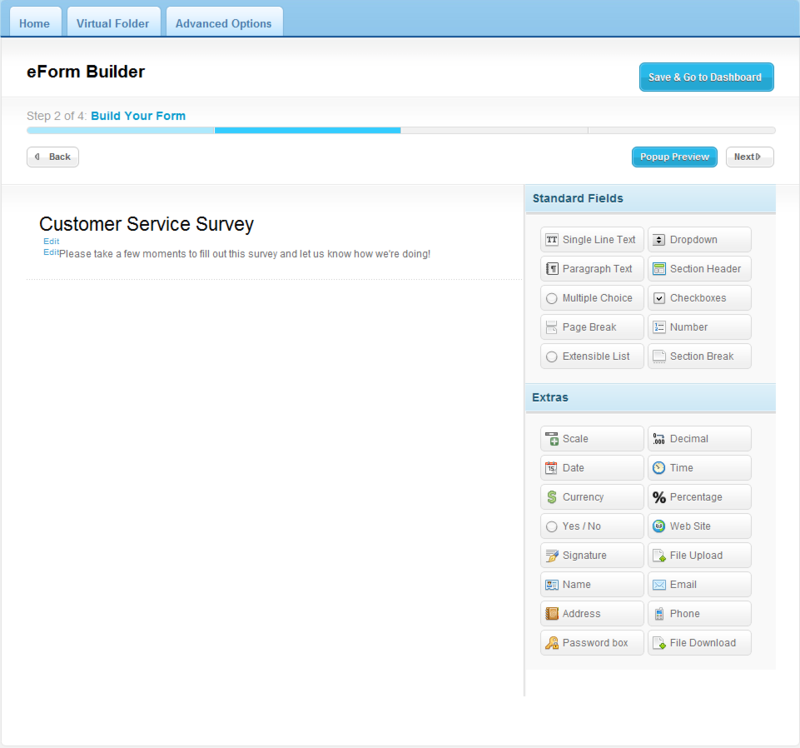 FilesAnywhere customers can immediately begin using the Beta release eForms module to offer their own clients online forms, surveys, and questionnaires. Since 1999, FilesAnywhere has provided simple, mobile access to files, cloud backup, storage, collaboration, virtual data rooms, and branded file portals for both consumers and businesses. FilesAnywhere is a trademark of Officeware Corporation. Headquartered in Bedford, Texas, Officeware Corporation is a wholly-owned subsidiary of Immediatek, Inc. (IMKI), a Mark Cuban Company. Support and information: 855-SYNC-NOW or 972-893-3301. Create Your FormStep one of a quick, four step process to create your form. Adding FieldsTraditional and advanced fields allows users to create completely personalized templates. ThemesExtend form branding with themes. Share Your FormDistribute your form with a simple link, and use the advanced settings to brand and control access to your form.